What Happens Before Your Kilimanjaro Climb? If I’m flying to Nairobi, how do I reach Arusha and Team Kilimanjaro? Do you have a contract for me to sign when I arrive in Moshi? Do you check client's items the night before to ensure they are well equipped? Am you able to advise where I can hire a good quality down jacket? Am I able to leave excess luggage at your hotel before and after the trek? There are two Shuttle Bus departures from Nairobi daily, leaving at 0800 and 1400, but the Riverside company asks passengers to be there at 0700 and 1300 respectively. 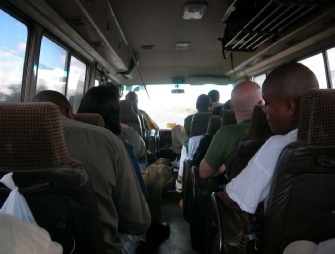 The route this shuttle takes enters Tanzania at Namanga border where it is necessary to show or purchase an entry visa for Tanzania and to show a Yellow Fever Certificate of Vaccination. If you have a conscientious objection to being compelled to being injected with substances on trust, most officials will allow you (unofficially) to purchase a certificate without actually receiving the injection. You can then arrange, at your own risk, to be injected at a time and place that's comfortable to you - should you wish to be vaccinated, and this purchased certificate will suffice to satisfy all future bureaucrats at borders throughout East Africa. To book this shuttle, you can either use Riverside’s online facility or request us to book this on your behalf. If you wish us to book this we will need to know your movements and timings immediately prior to your proposed shuttle departure. We don’t operate out of Moshi, but when we collect you we ask you to sign a declaration and conditions of participation. Let us know if you wish us to email this to you. Not if their flight comes in at 2045 with KLM, which is very often the case with people being so busy these days and barely squeezing in a climb between their flights, as this means that they will generally get through Immigration at 2120 and reach their hotel at 2200 – 2230, depending on whether there have been any delays arriving at JRO. But where a climber reaches Arusha with enough time to afford a kit check our standard operating procedure is to meet them at their hotel at 1800 on the evening immediately preceding their climb. The guide then delivers a short brief, all hired gear, and checks the climber’s own gear for suitability. Any deficiencies are then resolved overnight and it is hoped that by 0730 when we collect the climber everything is squared away and we can proceed to the hill without delays. Yes, from us! 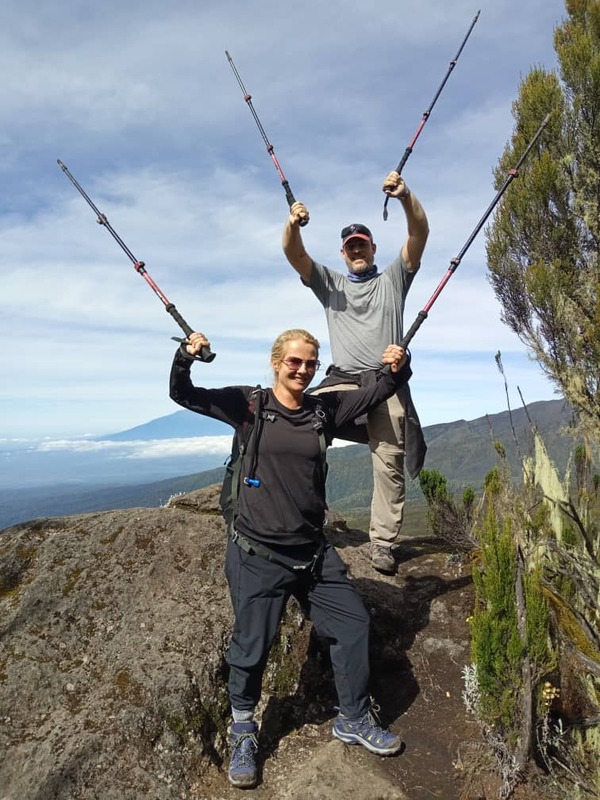 Please use the Team Kilimanjaro equipment hire request form. Any of the hotels that we would book on your behalf are happy to look after your luggage while you are on the mountain. They all have lock-rooms and internal safes for small items of especial value. Want to know what happens on the mountain? What do you need to know when you are on the mountain?